Raw Honey naturally contains enzymes and nutrients which have a number of medical uses and health benefits. Perhaps that is why it has been utilized as a folk remedy all throughout history. These days, honey still is a popular food source and even is utilized in some hospitals as a medicinal treatment for wounds. But those health benefits are only specific to unpasteurized honey like Santa Monica Florida Honey. The manufacturers process the majority of the honey you see in grocery stores. Heating up honey assists in improving the texture and color and removes all unwanted crystallization. Sadly most of the beneficial bacteria and antioxidants also are destroyed or removed in the process. Raw honey has antioxidants referred to as phenolic compounds. Some kinds of honey have as many antioxidants as vegetables and fruits. Antioxidants aid in protecting your body from cell damage because of free radicals. Free radicals contribute to the process of aging and also may contribute to the development of chronic diseases like heart disease and cancer. Research shows that polyphenols inside honey might play a part in the prevention of heart disease. Raw honey may destroy unwanted fungus and bacteria. It naturally contains an antiseptic, hydrogen peroxide. Several European hospitals have utilized Manuka honey to battle MRSA (methicillin-resistant Staphylococcus aureus), a kind of staph bacterial infection that has become antibiotic-resistant. Honey’s effectiveness as an antifungal or antibacterial depends on the kind of honey. Wildflower raw honey also is utilized in medical settings to treat injuries because it is an efficient germ killer. Scientists believe it’s because it has extra antibacterial properties in addition to the natural hydrogen peroxide. Research shows that raw honey may increase healing time and decrease infections in wounds. But the honey utilized in hospital settings is medical grade, which means it is sterile and safe. These are compounds in plants which aid in protecting a plant from harm. For instance, some might keep insects at bay or protect the plant from harsh ultraviolet radiation. Phytonutrients offer both anti-inflammatory and antioxidant benefits that assist you in maintaining good health. Due to honey being made from plants, it additionally has phytonutrients. Those precious nutrients are unique to raw honey, as well as vanish when it’s heavily processed. Sometimes, honey is utilized to treat digestive problems like diarrhea, although there are not many studies that show that it works. But it is shown to be efficient as a Helicobacter pylori treatment, a typical peptic ulcer cause. (Peptic ulcers happen in the digestive system or stomach.) Consuming 1 to 2 tsp. of Gallberry Honey on an empty stomach is claimed to soothe pain and aid in the process of healing. Do you have a cold? Consume a teaspoonful of wildflower raw honey. Honey is a sore throat remedy. Try to add it to hot tea with lemon. Also, it works as a cough suppressant. Studies show that it’s as efficient as dextromethorphan, a typical OTC ingredient in cough medicine, in treating coughs. Simply consume 1 - 2 teaspoons straight. Besides beneficial nutrients and bacteria, raw honey also can carry dangerous bacteria like botulism. It’s especially harmful for infants, so you NEVER should feed raw honey to newborns less than one year old. Botulism produces symptoms that are similar to food poisoning (that is, vomiting, fever, nausea) in adults. Consult your physician if you suffer any of those symptoms after consuming raw honey. 1. Improves digestion – Consume 1 -2 Tbsp. of Gallberry honey to counteract indigestion since it does not ferment inside your stomach. 2. Alleviate nausea – Blend Orange Blossom honey with lemon juice and ginger to aid in counteracting nausea. 3. Cure for acne – Saw Palmetto Honey may be utilized as an affordable facial cleanser to battle acne, and it is delicate on all types of skin. Take 1/2 a tsp. of Saw Palmetto honey, warm it between the hands then spread it gently on the face. Leave it on for ten minutes then rinse using warm water then pat dry. 4. Exfoliator – It makes an excellent exfoliator! Use it on dry winter skin by adding 2 tbsp. of Saw Palmetto honey to a bath, then soak for fifteen minutes, and add 1 tbsp. of baking soda for the final fifteen minutes. 5. Improve diabetes – Eating raw honey may decrease your risk of developing diabetes and assist medication utilized to treat diabetes. Tupelo Raw honey decreases hyperglycemia and increases insulin. Add a little tupelo honey at a time to your diet then check how your blood sugar responds to it. 6. Decrease cholesterol – Wildflower Honey may assist in decreasing cholesterol and, thereby, reduce your coronary artery disease risk. 7. Improve circulation – It makes the brain function optimally by improving blood circulation and strengthening the heart. 8. 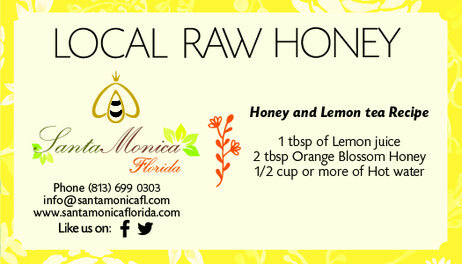 Antioxidant support – Eating Orange blossom raw honey boosts plaque-fighting antioxidants. 9. Restore Sleep – It promotes restorative rest. Add 1 Tbsp. to warm milk to assist in increasing melatonin and helping you rest. 10. Prebiotic support – It’s full of natural prebiotics to promote the growth of good bacteria inside your intestine. 11. Improve allergies – If locally sourced, wildflower raw honey may assist in reducing seasonal allergies. Add 1 – 2 Tbsp. to your diet on a daily basis. 12. Lose weight – Substituting for white sugar may aid in management of weight. 13. Moisturize – One spoonful of Saw Palmetto raw honey blended with olive oil and squeeze of lemon may be utilized as a hydrating lotion. 14. Hair mask – Orange Blossom Raw honey hair masks may aid in boosting shine by hydrating your hair. Just blend one teaspoon of raw honey with five cups of warm water, apply the mix to your hair and allow it to sit, then thoroughly rinse, let your hair air dry then style as normal. 15. Relief of eczema – Use it as a topical mixture in conjunction with equal parts cinnamon to alleviate mild eczema. 16. Decrease inflammation – It has anti-inflammatory agents which may treat respiratory conditions like asthma. 17. Heal wounds – Used topically, raw honey may aid in quickening healing time for wounds, abrasions, rashes, and mild burns. 18. Cure urinary tract infections – Honey may assist in improving urinary tract infections because of its antibacterial properties. 19. Shampoo – It may cleanse then restore the health of your scalp and hair. 20. Alleviate cough and sore throat – Using honey for cough and sore throat is one other remedy. It’s especially helpful for kids who have a cough. Just swallow 1 tsp. of honey or add it to hot tea with lemon. It’s one of nature’s purest food sources and is much more than simply a natural sweetener. 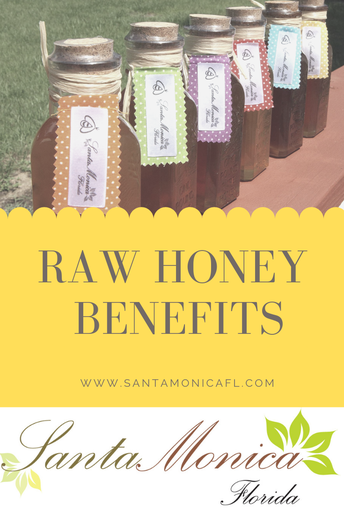 Raw honey is a “functional food,” meaning it is a natural food that has health benefits. Its nutrition is impressive. It contains 5,000 enzymes, 27 minerals, and 22 amino acids. Minerals include potassium, iron, calcium, zinc, magnesium, phosphorous, and selenium. Vitamins in honey include riboflavin, vitamin B6, pantothenic acid, thiamin, and niacin. Additionally, the nutraceuticals in honey assist in neutralizing damaging free radical activity. A tablespoon of honey has 64 calories, but it has a healthy glycemic load about 10 for a tablespoon, which is less than one banana. Raw honey doesn’t cause an elevated insulin release and a sugar spike like white sugar. Even though honey is an affordable source of food, bees spend thousands of hours gathering pollen from about two million flowers to make a pound of pure honey. Typically, honey is approximately 18% water; however, the lower the content of water, the better the honey quality. And best of all, honey doesn’t require refrigeration or special storage — use it straight from the jar. As Natasha Geiling lays out in a post for Smithsonian Magazine, it has a long shelf life and typically is okay to eat even after extremely long time periods as long as it is kept inside a sealed container, although it might crystallize. Flower nectar mixed with enzymes that bees naturally secrete. Why and how do bees make it? Bees make honey before winter then store it, so they’ll have food within the cold seasons. They produce honey by harvesting nectar from flowers then using an enzyme they’ll secrete to blend with the nectar inside a honeycomb. Over a period of time, the water inside the nectar decreases then turns to honey. What kind of sugar is it? It’s an unprocessed sugar containing sucrose and fructose. What’s the density of it? It ranges from 1.38 to 1.45 g/cm at a temperature of 20℃. How many carbs are in it? A tablespoon (around 21 g) of raw honey has around 17 g of carbs.